Over the course of thinking about strategy and planning, it occurred to me to ask the question, Might there be a theology of Strategy? The reason being, is that there is something critical to be thought of further in regard to the developing of strategies as a theological task with theological intentions and underpinnings. Theologically where might we start with thinking reflectively about strategy? What is a strategy in the first place? Is it a plan, a way of working, a development of ideas? could be all of these things, and a bit more. It is a commonly used word, in sport, business and games. A Broader conversation, theologically, might start with thinking about planning, and this is an overdone topic in a way. Talk of ‘Gods plan’ and perfect plan, are common, and especially in regard to free will, predestination and also how someone might live their life, and some of this I might come back to later. Before thinking about the content, it might be good to think about the theological method, or what might be meant by a ‘theology of’ something. A simple, helpful start to think about developing a theology of something is Paul Nashs Grove Booklet – What Theology for youth work? For, whilst youthwork is his object in this – his subject matter is the different theological positions that could be taken. It is a starting point, and worth a quick read to reflect on the different theological starting points, or at least some of them. Practical Theology and Qualitative research (Swinton) describes how there might be a critical conversation between theology and social science research, one that informs each other, again this is helpful, in thinking how the ‘on the ground’ practice of strategy development converses with what might seem to be the metaphorical and narrative artistry of the Biblical scriptures, written in a vastly different context. 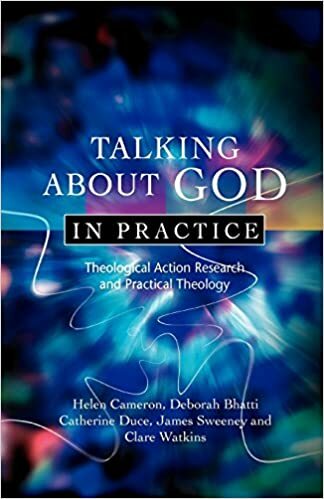 For the purposes of the remainder of this post, I want to focus on Helen Camerons (et al) work Thinking about God in Practice (2010) for thinking theologically about Strategy. The Formal: Theological reflection discovered from the Institution, the university or academia, the product of hard study, interdisciplinary work and conversation. The Espoused: This the Thei=ology that is discovered through the artifacts of an organisations literature, so for example a written constitution, statement of beliefs, creed. The Normative: These are the theological positions that are considered as default within the Christian (or any faith) tradition, and encompass the creeds, liturgies and what might be considered official church teaching on the matter. Cameron is keen to point out that these voices are not invariably distinct or separate, and each voice is not simple. It may even be these as a tool are not helpful on this basis, but for the purposes of this discussion it might be good place to start. It feels like the use of strategy within organisations is almost normative as practice. Ways of scientifically organising people to tasks and work go back a long way, from the industrial revolution, to the advent of factories and processing people into order to create an environment where tasks are completed. Strategy thinking of one form is almost normalised, to the point where ‘bad strategies’ are critiqued not ‘not having’ strategies. Not having a strategy is frowned upon. Though this isn’t a history lesson on the development of strategy within organisations. What I am saying though is that there is a considerable weight of pressure from businesses and organisations to develop strategies – it is their normative position. Standing counter to this, is going to be difficult. So, if we started to think theologically about strategy, against the weight of normativity of this in other organisations – where might we start? We might ask the question – is the church an organisation? And if so what is its type, purpose and nature? In that way we glean something about how a church especially might become inclined towards the normativity of other organisaions in strategy development. Another question we might asked is what is faith? Especially for a church- considered a faith-based organisation. Faith as a definition, ‘to be hopeful in what we cannot see’ might in itself be contrary to strategy planning at all, especially iif strategy planning might be considered as the thinking ahead to mitigate risks. If church instead was created as a movement – its possible intention – then does something need to be rethought again? Often God plays the role of the great disruptor of Human plans. Abraham has it all in one place, probably his life, and pension all worked out, and then God calls him and his family to something and somewhere new. Joseph seems to follow God in the midst of an unplanned out life where things are put in front of him to react to, Moses might be similar. The plans of God were hidden, and when disclosed weren’t always obeyed. When there were plans, they seemed to be thwarted. The God has plans, people disobey them is carried through in Jonahs tale, and is indicative of Amos’s warnings of Israel. Through prophecy, Isaiah brings to the attention a pictoral glimpse of the plans that God might have – but this certainty leaves the space within it for Human planning to be minimal. All we have, to a point, is knowledge that God might also have a plan for us, in the oft taken out of context Jeremiah 29:11 verse. In a way this might be reassurance that a human plan and strategy is less required, than it is to trust and have faith in God who knows these things. Then strategy might be considered in the New testament. In the parables faith is not seen in the man who builds bigger barns – again planning for the future. Stability is in the house built on obedience, not the barn built on planning. When Jesus sees the people of Israel like sheep without a shepherd (might considered as ‘without a plan’) it is a compassionate response, not a desire to organise. Again, many of the livelihood of the disciples is interrupted, temporarily by Jesus call to follow – though some might have used their skills and income in the ongoing movement of faith. Saul/Paul is another whose strategy in life is interrupted, and this continues as the journeys taken by these early missionaries is thwarted by acts of nature, sometimes attributed as active resistance to Gods plan, and other times as Gods plan. The closest we might get to thinking about strategy=ie and organisations , rather than individuals is through the epistles which are letters to new churches, and also to the letters to the churches in revelation. So, we are beginning to build up a picture of some of the biblical precedents for and against developing strategy, and a part of the overall drama of scripture and the path towards redemption, these should be heard and reflected on. However; An espoused theology of strategy needs to drill down to the actual practices. Where there are plans and strategies, there also is a belief that strategies are the implied way to do what the tasks in hand require, and a belief in strategy planning as a process. From a fundraising strategy, to safeguarding, mission strategy or youth strategy – by having a strategy as an artefact within an organisation is its own testament to how it should be organised. Whatever might be normative – through biblical theology, could be usurped by an espoused way of doing things that has become the norm. From plans and strategies, can come order and control – and actions, results and behaviours brought in line to the pre determined plan and strategy. The espoused theology might regard highly the biblical warnings – (is a parable a warning?) about ‘without vision the people perish’ or the ecclesial determination that Jesus loves the church and wants it to succeed. (then there is the success narrative) But this in itself is problematic, as it can merely use strategy as a way of ‘keeping the church open’ through planning – and endorsing this as the right way to maintain an organisation. Even the most realistic of plans might not be the best way of causing change to happen. The strategy itself might lose the intention, or virtue of the action. An Operant theology might be determined by how an organisation behaves. So – actually – what is the talked about theology or reaction to the strategy? (just new flangled ideas..?) does the church congregation act in a way about the strategy that endorses, or deliberately objects the desires of the strategy itself? There might be opposition socially or politically to the strategy – but there may also be prophets who disagree theologically and spiritually too. But I wonder whether at its heart churches aren’t a place theologically where strategies and plans sit very easily. So an operant theology of strategy is one that whilst exemplifying compliance within a structure – usually- is also reluctant to embody the normativity of strategy thinking, causing active disruption. But thinking about what might be the operant theology of strategy is to look closely at somewhere specific. The point of Camerons research method in the first place. So – what does your church or practice operate as – in regard to plans and strategies? Does strategy seem to be ‘the way out of a crisis’ or the ‘way to do things’ – and how is this viewed? How is strategy justified theologically through those who adhere or dispute its implementation or necessity? Finally, there might be a formal theology of strategy. Through the few published works on this subject, the working practices of theological academia, and the dissemination of research, hypothesis and ideas on this subject all contribute to a formal theology of strategy, that probably, with the weight of normative use in the business and commercial world, contributing to a general endorsement that strategies are a positive and necessary thing. Nelson book seems to endorse planning and strategizing and notably the transformation leadership culture that underpins the strategy thinking in the first place. Others in different discipline to ‘church leadership’ have been less enthusiastic of ‘strategy planning’ especially where is contravenes values and approaches. What is interesting is that the ‘secular’ youthwork approach dismisses strategy planning as something that is against values, and ethics, yet the church – which could have stronger values – does not always. Maybe church sees itself as a stronger organisation and culture- than the youthwork profession. What if theology itself was more of an improvised play than a planned action? What might that mean in regard to trying to develop a theology of strategy? Do plays need strategies? – they need scripts (we have one its the Bible), they need actors, directors and an audience. There is planning in the acting as actors respond to the cues and know how to respond. Training to act might be more repetition of action than planning of action. 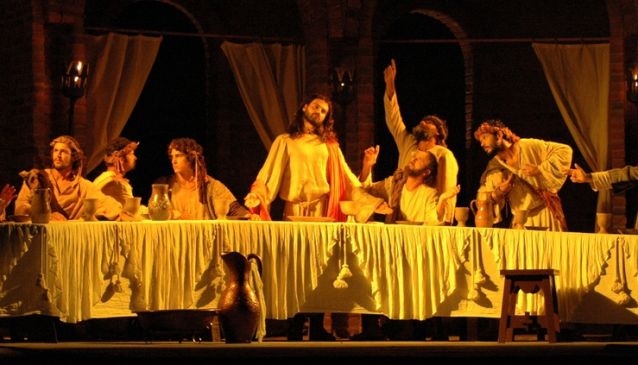 Yet whilst the great theatrical performances of the bourgeois need promotion and strategy – the improvised theatre and the mystery plays had word of mouth and reacted in the moment – live. Does the production of the drama of Gods redemption need strategy? Goodness is slightly less good if its planned isnt it – its strategic and false. Authentic reactions in the moment cant be pre planned or strategised. In the great drama of Gods redemption that we are part of – does strategic planning have any place at all? Where there was Chaos – God brought order into creation – but ever since doesnt it feel as though God is continually disrupting the order we try to make ourselves? I caught a glimpse of ‘Scruffy Vicars’ recent post this week on ‘The Ideal and the Ordeal’ it is here: https://scruffyvicar.wordpress.com/2018/03/21/the-ideal-and-the-ordeal/ and practically this is a problem with aloof strategising. It is to envision the outcome, and not be ready for the actual, normal and effort required. It took me to think about not only what Jon Ord talks about in Critical issues in Youthwork Management – that we should plan for opportunities and not outcomes. But also that when Jesus told the seventy two or twelve to ‘go out’ he gave them instructions to create the right scene – what he barely said was what to do when getting there (except to stay when welcomed) neither was the outcome part of the plan. (aside from leave if unwelcomed). But these instructions we to his own people. In Matthew Jesus’ instructions are that the 12 go to the lost people of isreal. So in effect, Jesus was saying, go and try and find a welcome in your own land, with your own people. Be receivers of service. It was not outcome strategising, but strategising – or preparing for opportunity. The four voices of might be needing to be attended to, for the purposes of doing qualitative research into a practice and to work out what a local theology of strategy might be. Here it might be enough to reflect on strategy theologically and critically from a few different angles to begin a conversation. Where there are organisations there might also be strategies, but where there are disruptions – is this the voice of God calling us out from the order we think we have created? God might be in the strategising, but that in itself is action on the stage of the world, and it needs to be performed with the same love and goodness of all the play.Calling to perform his improvised play that is emerging on the stage of the world? What might a theology of strategy begin to look like…? 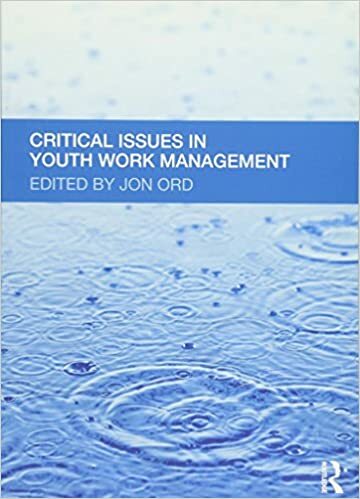 Ord, Jon Critical issues in youthwork Practice.